This guest post was written by aWeber Education Marketing Associate Amanda Gagnon. Let's face it, the biggest draw of South by Southwest isn't the announcements of technical innovations (though I'm sure they'll be trippy) or music (though I'm sure it'll be satisfyingly edgy). You'll learn an awful lot no matter what sessions or shows you attend. Instead, the biggest draw is the massive collection of savvy, creative individuals and the ensuing melee. So what you really need to know as you prepare to fly to Austin in a couple of weeks is where this crowd will be eating, where they'll be shopping and where the good parties are. 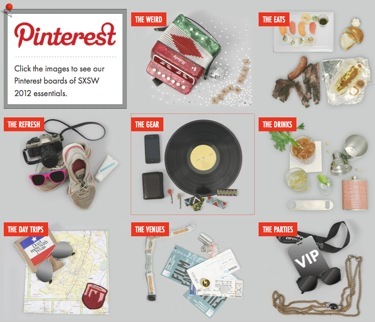 Ad agency GSD&M has made that information available with their campaign for SXSW 2012, SXSurvival. The ad agency's main site for the campaign includes tweetable suggestions and blog posts, but its primary focus is getting viewers to Pinterest. GSD&M used the up-and-coming network to create a survival manual: a series of virtual bulletin boards "pinned" with the areas best resources for those attending SXSW. Boards include The Refresh (outdoor rec spots around Austin), The Parties (hosted by vendors & participants) and The Eats (the best local cuisine sources), among others. By capitalizing on their Austin expertise, they attract the attention of the hordes headed to SXSW. Then they've got hordes of ad-minded Pinterest followers they can market to however they'd like. We all work in advertising. One could say we do it because we are obsessed with the profession. One could also say we're just stupid but let's just set that one aside for a moment and see what TM Advertising has to say on the topic. 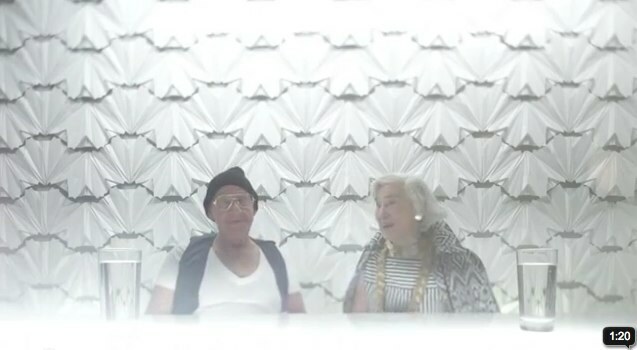 The agency created this video to promote the Dallas ADDYs. The video is funny, But we have to ask, is it really all that helpful to the profession to slam one function to bolster another? No wonder many in the business are a bunch of whiney, self-entitled, primadonnas with God complexes. 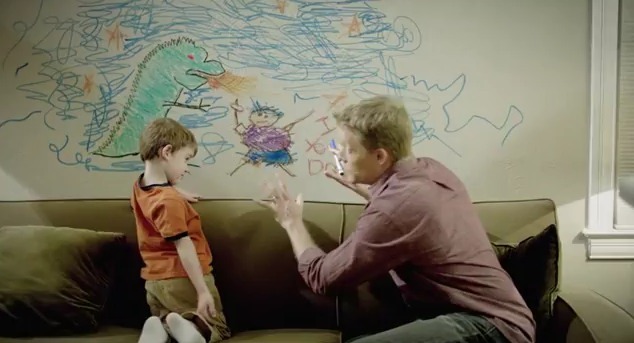 "You keep this up, you're gonna be a copywriter." If you're going to LeadsCon...wait, what? You haven't heard of LeadsCon? Guess we can't blame you. LeadsCon is a fairly new, fairly niche conference but it's content is pretty straight forward. It's all about leads. You have heard of leads, right? You know, those contacts you need to gather in order to sell product? Ah, now you see why a conference like LeadsCon might be important? Now that we have that out of the way, we would be remiss if we didin't tell you we're sponsoring an event at the conference. Yes, it's a party and it's called the Lead King Party. Yea, we know. Cheesy name but this is a leads conference so you figure they have to work the word "lead" into the name of the event somehow, right? Anyway, the event is Tuesday night, February 28 at Mario Barth inside the Mirage in Vegas. If you're going to LeadsCon, check out all the details and RSVP here. If you're not, then pardon this commercial interruption. The Business Development Institute will host The Social Consumer 2012 on March 22 at The Graduate Center of The City University of New York. This half-day conference will showcase specific case studies that demonstrate how brands engage, influence and service consumers through innovative social programs. If you are a brand that wants to be a part of what's become the biggest marketing event of the year, SXSW, then we can help you do just that. Last year it became clear SXXW had shifted from a geek-focused event to a marketer-focused event. And that shift will continue again this year as brands realize the event provides the perfect combination of B2B and B2C customer connection and publicity. Intro and outro sponsorship of SXSW-related coverage (website, newsletter, Facebook, Twitter, Google Plus) leading up to the event. Intro and outro sponsorship of each SXSW article (website, newsletter, Facebook, Twitter, Google Plus) we publish during the event (at least one each day of the event). Intro and outro sponsorship of SXSW follow up stories (website, newsletter, Facebook, Twitter, Google Plus) after the event. 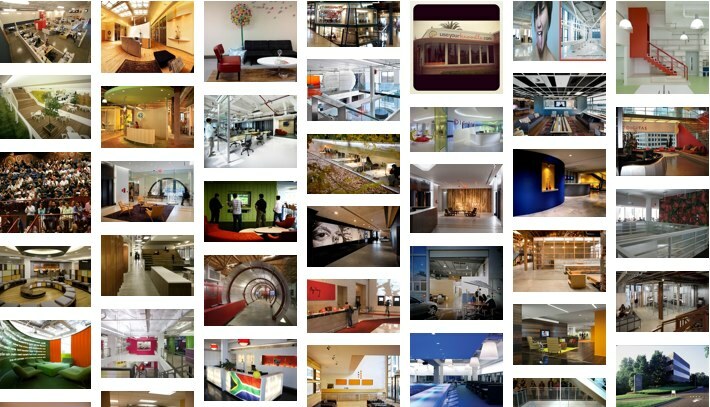 A TBD number of banner impressions before, during and after SXSW if desired. Pervasive logo placement in site header for duration of event. Email sxsw@adrants.com for more details, pricing and to lock in your sponsorship now. Today, Affiliate Summit West kicks off at Caeser's Palace in Vegas. Today's focus is the Meet Market, a low key exhibit hall-style set up where affiliates, networks and marketers can learn about what each other has to over and, as well, conduct actual business. Just think of it as yout typical exhibit hall with tables instead of elaborate booths. Last night, a tweetup at Gilly's inside Treasure Island kicked off the conference. Unbekowst to those of us that planned the event, the place was a full ob country bar and let us tell you...we have never before seen some of the most amazing line and couple country dancing. It gave us all something to look at while we chatted. Oh, that and the mechanical bull. Always good for a few laughs. Check out photos from the event here. Tonight after the first day of the conference, things will get a bit crazier. Lots of parties. Lots and lots of parties. Here's hoping we're still standing come Wednesday when we all pack up and head home. 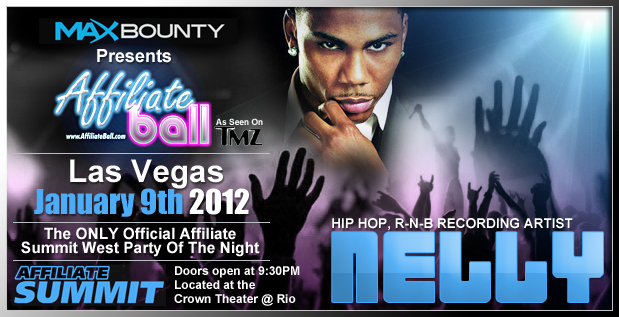 If you're still look for a way to make a splash at Affiliate Summit West or simply looking for a good time, make sure you check out the MaxBounty Presents Affiliate Ball, an event January 9 at the Rio's Crown Teater featuring Nelly. Over 2,000 conference attendees are expected to attend. We are told there are still sponsorship packages available. 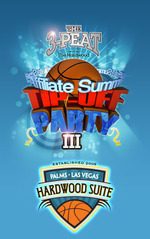 If you're interested, contact Darren Blatt at infi@affiliateball.com. He'll take good care of you. 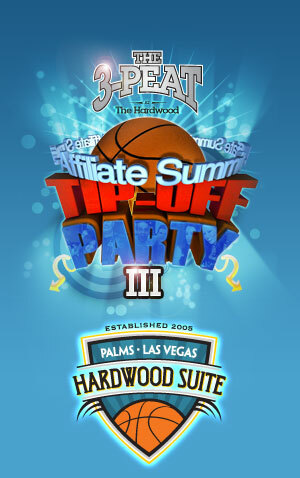 Back for a third straight year, Double Play Media will host its Affiliate Summit Tip-Off Party at the Hardwood Suite, Palms Las Vegas. Held on the opening night of Affiliate Summit West, January 8 at 10PM, the event is sponsored by Infinite Traffic, Optimal Fusion, CPAWay and React2Media. We've attended each year and have had an amazing time. If you're in Vegas for Affiliate Summit, be sure to stop by. You can RSVP here. And if you do so before December 23 you'll be entered into a drawing to win a VIP sponsorship package. You can keep tabs on all the Affiliate Summit parties using this Google calendar.